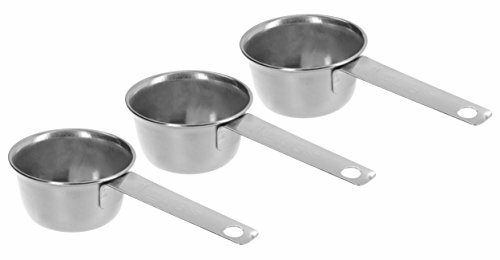 3 great Ram-Pro coffee measure cups to use at kitchen for baking needs, coffee, salt, sugar, spice, or flour. 3 Brand New Stainless Steel Coffee measure cups. Great for sugar, salt, bulk tea, spice or coffee. If you have any questions about this product by RamPro, contact us by completing and submitting the form below. If you are looking for a specif part number, please include it with your message.